The best way to impress your friends at the next party you attend might be to casually mention that scientists can grow miniature brain models in a dish using human stem cells. Sure, that might scare away some people, but when you explain how these tiny brain models can be used to study many different neurological diseases and could help identify new therapies to treat these diseases, your social status could sky rocket. Recently, a group at UC San Diego used human stem cells to model a rare neurological disorder and identified a drug molecule that might be able to fix it. This work was funded in part by CIRM, and it was published today in the journal Molecular Psychiatry. The disorder is called MECP2 duplication syndrome. It’s caused by a duplication of the MECP2 gene located in the X chromosome, and is genetically inherited as an X-linked disorder, meaning the disease is much more common in males. Having extra copies of this gene causes a number of unfortunate symptoms including reduced muscle tone (hypotonia), intellectual disabilities, impaired speech, seizures, and developmental delays, to name a few. So far, treatments for this disorder only help ease the symptoms and do not cure the disease. The group from UCSD decided to model this disease using induced pluripotent stem cells (iPSCs) derived from patients with MECP2 duplication syndrome. 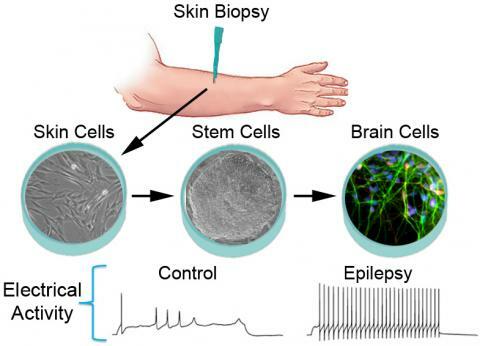 iPSCs can form any cell type in the body, and the group used this to their advantage by coaxing the iPSCs into the specific type of nerve cell affected by the disorder. Their hard work was rewarded when they observed that the diseased nerve cells acted differently than normal nerve cells without the disease. In fact, the diseased nerve cells generated more connections with other nearby nerve cells, and this altered their ability to talk to each other and perform their normal functions. The senior author Alysson Muotri described the difference as an “over-synchronization of the neuronal networks”, meaning that they were more active and tended to fire their signals in unison. After establishing a relevant nerve cell model of MECP2 duplication disorder, the group tested out a library of drug molecules and identified a new drug candidate that was able to rescue the diseased nerve cells from their “over-synchronized” activity. This work is encouraging for several reasons. First, this compound had never before been considered a therapeutic alternative for neurological disorders. Second, the speed in which we were able to do this. With mouse models, this work would likely have taken years and results would not necessarily be useful for humans. 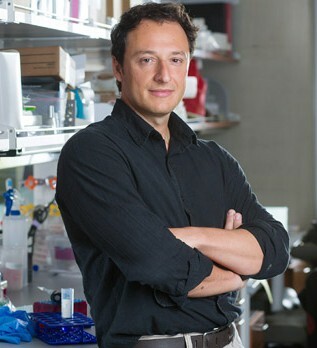 The press release goes on to describe how Muotri and his team plan to push their preclinical studies using human stem-cell based models forward in hopes of entering clinical trials in the near future.